When traveling to New York City you are able to cross off a lot of the popular attractions like Wall St., SoHo, Madison Square Garden, Brooklyn Bridge, Times Square, 911 Memorial, Yankee Stadium, Central Park, Statue of Liberty and the Empire State Building. If you're thinking of traveling to New York City, Elite Sports Tours can help you plan the perfect trip with hotel partners in all the popular locations for sports fans to stay at. 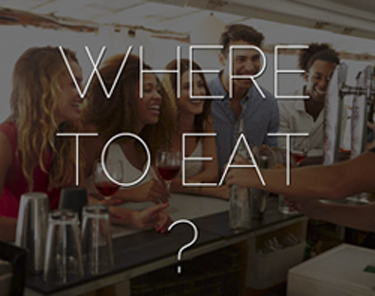 We can make sure we locate you close to the popular attractions when traveling to New York City. New York City is a popular destination for tourists world wide. 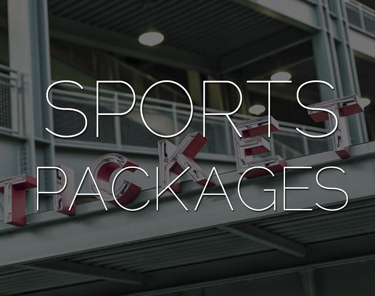 It's also home to some of the most popular sports franchises in professional sports. With two football, hockey, basketball and baseball teams New York is an attractive destination for sports fans to plan trips to. 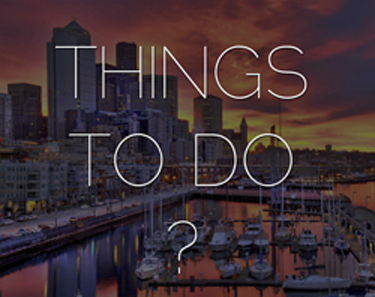 If you are interested in seeing other attractions in New York City we can help plan the perfect trip for you. If you happen to be in New York City during the summer, seeing a New York Yankees baseball game is always something worth crossing off the bucket list! New York City consists of 5 boroughs, Manhattan is the most densely populated of them. Mostly made up of Manhattan Island, bounded by the Hudson, East and Harlem rivers. Among the world’s major commercial, financial and cultural centers, it’s the heart of “the Big Apple.” Manhattan is home to skyscrapers such as the Empire State Building, World famous Times Square and Broadway. The other boroughs of New York City include Brooklyn, Queens, The Bronx and Staten Island. Brooklyn is where the Barclays Center is located, home to the NBA's Brooklyn Nets. The Barclays Center opened in 2012 and also hosts a variety of other events including concerts. The Barclays Center is part of a residential complex now known as Pacific Park. If you head north to The Bronx you will see one of the most popular teams in professional sports ballpark, the New York Yankees. New York is also home to another baseball team, the New York Mets who play at Citi Field in Queens, New York. Madison Square Garden is considered "The Mecca" of sports arena. With so much history, MSG or The Garden is one of the most iconic venues in professional sports. Madison Square Garden is situated beside Penn Station. The New York Rangers and New York Knicks both play at Madison Square Garden in Manhattan. For the football fans looking to visit New York City, both the New York Giants and New York Jets play at Metlife in East Rutherford, New Jersey, 8 miles outside of New York City. Metlife Stadium is part of the Meadowlands Sports Complex. It can be a pain to commute in and out for a football game, but it depends if you are traveling just for the game or you want to visit New York City as well. With honorable mentions the New York Islanders continue to act like hermit crab and rotate where they play games. 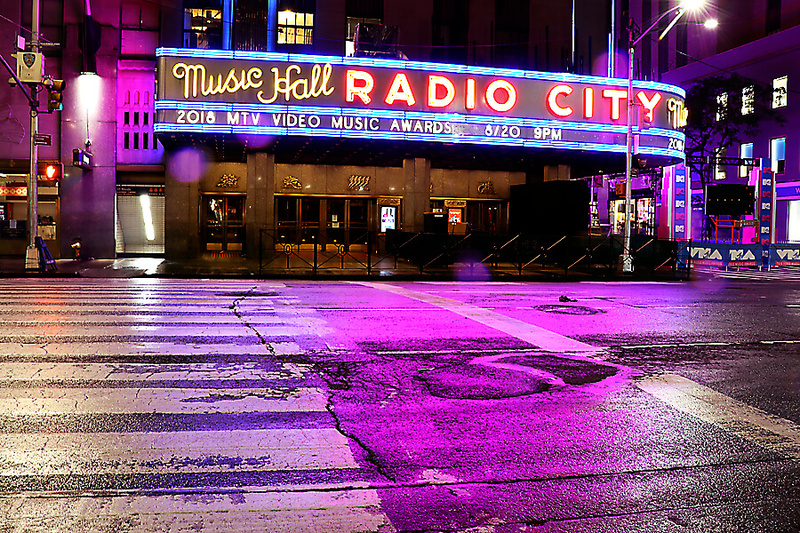 Visiting a city like New York can take a couple of trips to take in all the sights and attractions. Especially if you are a sports fan, with so many teams located in New York City. The Charging Bull, which is sometimes referred to as the Wall Street Bull or the Bowling Green Bull, is a bronze sculpture that stands in Bowling Green in the Financial District in Manhattan, New York City. The Wall Street Bull can get extremely busy during the day. If you are looking to get a photo alone with the charging bull we suggest you arrive just after sunrise to get your best shot at taking a photo that isn't as crowded. The early bird gets the worm or in this case the Bull! The Wall Street Bull as created by artist Arturo Di Modica stands near Wall Street in Downtown Manhattan. 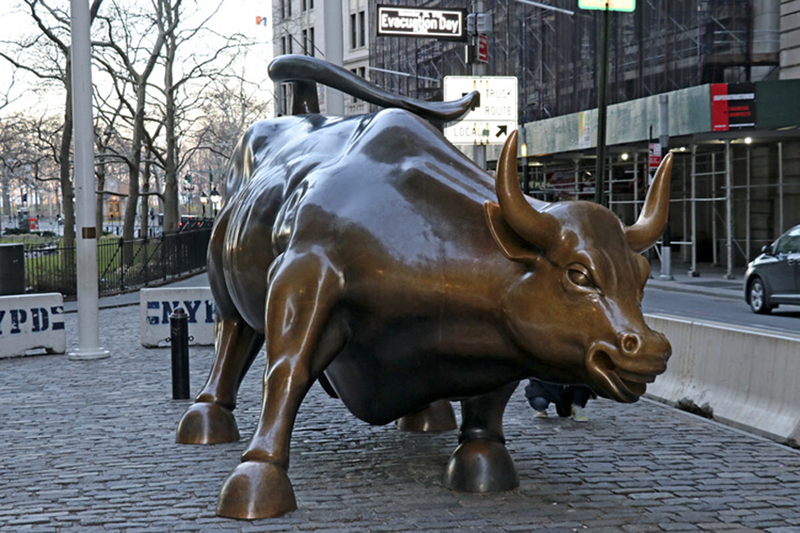 The 7,100 lb bronze charging bull, is an allegory of market optimism and has become the symbol of Wall Street. The Charging Bull makes the Financial District one of the most popular tourist areas in New York City. The Statue of Liberty is always a popular destination. It was a gift of friendship from France to the United States and was dedicated on October 28, 1886. 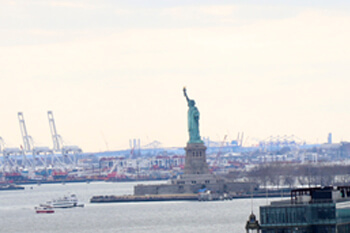 The Statue of Liberty is recognized as a universal symbol of freedom and democracy. Nusret Gökçe’s the internet sensation known as Salt Bae has a location of his popular Turkish Steakhouse in New York City located at 60 W 53rd St in New York City. 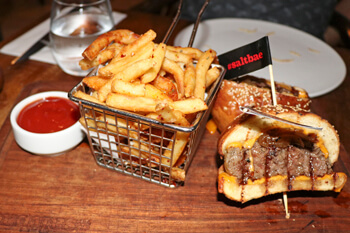 A stop for the meat lover traveling to New York City. 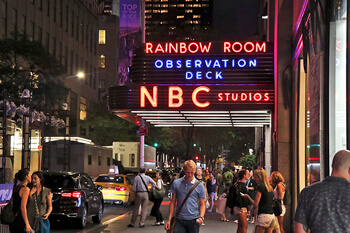 The Rockefeller Center consists of 19 commercial buildings. 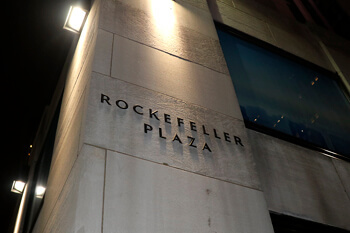 The Rockefeller Center spans across 22 acres between 48th and 51st Streets. Those looking for a spetacular view of the city can visit the Top Of The Rock, an observatory on top of Rockefeller Center. The Brooklyn Bridge is another popular tourist destination when visiting New York City. One of the most iconic bridges, the Brooklyn Bridge is a hybrid cable-stayed/suspension bridge in New York City. If you are looking for some exercise, walking the Brooklyn Bridge is always a fun adventure. The view in itself is rewarding and worth the treck. If you walk across from Manhattan to Brooklyn, you can reward youself with some delicious famous pizza at Juliana's Pizza. Be sure to check their hours before you make your trek across the bridge. Some delicious pies in a modern space by pizza legend Patsy Grimaldi. 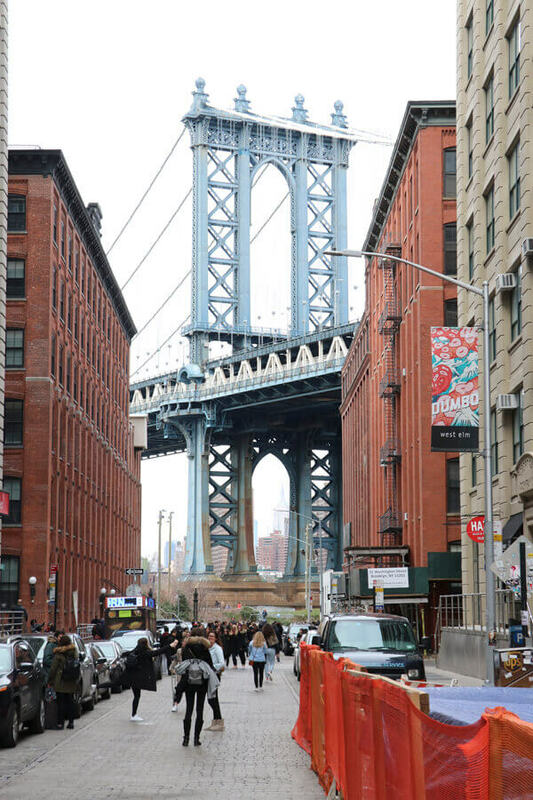 Located in trendy Dumbo, known for the cobblestone streets and converted Brooklyn warehouse buildings. Dumbo features some high-end restaurants and trendy cafes.